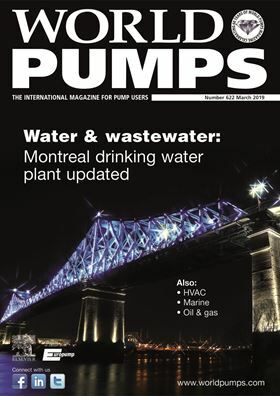 The March issue of World Pumps is now available. Subscribe today! For 60 years, World Pumps has been the world's leading pump magazine, keeping the pump industry and its customers informed about all the technical and commercial developments in the industry. To access the latest edition of World Pumps magazine simply log in below. Become a World Pumps member today and get full access to this page. Already a World Pumps member? Log in to your World Pumps account to access this page. The November 2018 edition of World Pumps is now available.